We come across cotton everyday in our homes, at the stores and even at work. Our lives are intertwined with this fiber and most of us never think twice about it. What most people don't know is that there are many different kinds of cotton. Cotton is grown all over the world and is a part of everyday life. Scientists exploring in Mexico first found bits of cotton bolls and cotton cloth, in Mexican caves, that were aged at least 7,000 years old. The cotton itself was found to be much like the cotton that is grown in America today. Cotton was being grown, spun, and woven into cloth in Pakistan in 3,000 years BC. Around this time natives of the Nile valley in Egypt were making and wearing cotton clothing. In about 800 AD, Arab merchants brought cotton cloth to Europe. Columbus found cotton growing in the Bahamas Islands when he traveled to the Americas. By the time the 1500's came, cotton was known throughout the world. The last half of the 16th century and the beginning of the 17th found cotton being grown in Florida and up into Virginia. The combination of the industrial revolution in England and the invention of the cotton gin in the U.S. made the way for the important place that cotton holds today. There are several species of cotton that grows wild but they are not economically feasible. There are five types of cotton that are being grown commercially around the world. Some are very common to our ears and we see them in stores everyday. These types are Egyptian, Sea Island, American Prima, Asiatic and American Upland. These various kinds have some resemblance but differ in color of flowers, fiber and time of blooming. Cotton grows in warm climates. Almost half of the world's cotton comes from China and the US. 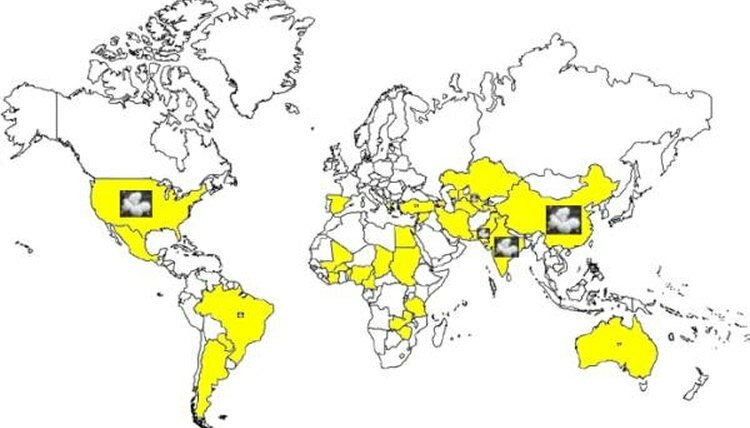 Other leading cotton producing countries are Brazil, Pakistan, China, Uzbekistan, India, Turkey, and Australia. The stretch of states in the US that produces cotton is called the "cotton belt". These major cotton producing states are: Alabama, Arizona, Arkansas, California, Florida, Georgia, Kansas, Louisiana, Mississippi, Missouri, New Mexico, North Carolina, Oklahoma, South Carolina, Tennessee, Texas, and Virginia. No part of the cotton plant is wasted. The lint, or fiber, is used to make cotton textiles. The cottonseed provides oil and forms the base of many food products. The short fuzz that is left on the seed is used in making cushioning, paper, plastics, and other products. The stalks are plowed under to improve the soil. American Upland is the most common cotton in the world. It is made into many kinds of fabrics. It is so versatile that it is used to make both heavy canvas and expensive shirts. It is also used to make denim. Egyptian cotton is known for making very soft sheets. It is also made into clothing, balloon cloth, typewriter ribbons, and other fine fabrics. Asiatic cotton produces coarse, harsh fibers so it is used for blankets, padding, filters and coarse cloth. 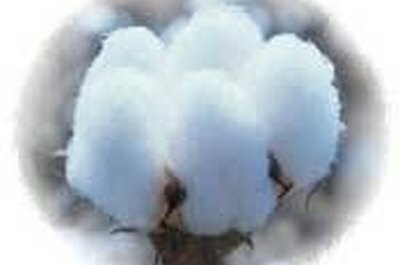 Sea Island cotton is a very expensive type and is typically used in very expensive men's shirts. Traditionally grown cotton poses an environmental hazard because it is one of the most heavily sprayed crops in the world. Cotton uses around &#xBC; of the world's insecticides and more than 10% of the pesticides. Cotton is ranked 3rd behind corn and soybeans in the total amount of pesticides sprayed according to the USDA. Cotton is also the 4th heavily synthetic fertilized crop falling behind corn, winter wheat, and soybeans. A new generation of cotton is on the rise. Organically grown cotton is starting to make its way into the trade arena. Its good for the environment and for us. Hurt, Rachel. "What Are the Different Types of Cotton?" , https://careertrend.com/about-4682081-what-different-types-cotton.html. 27 December 2018.